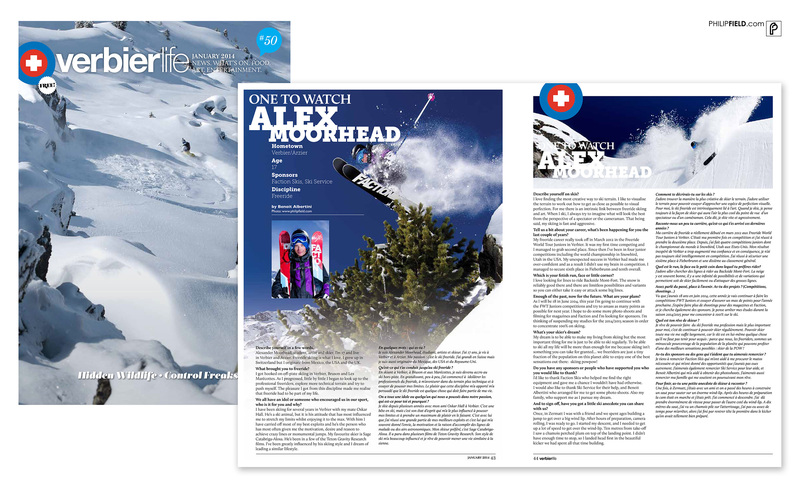 The second in a series of 5 articles for the 2013/14 season where Benoit Albertini interviews and I photograph up and coming riders in the Verbier St-Bernard region for Verbier Life magazine. For January 2014 we hooked up with 18 year old Alexander Moorhead from Verbier, Switzerland who last year competed on the Freeride Juniors Tour, coming second in Verbier. Watch out for him again this year!